Design from the Bottom Up! 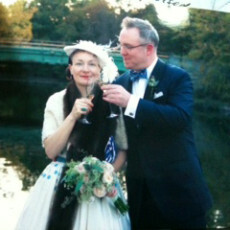 Marika’s wedding look was equally about the shoes. 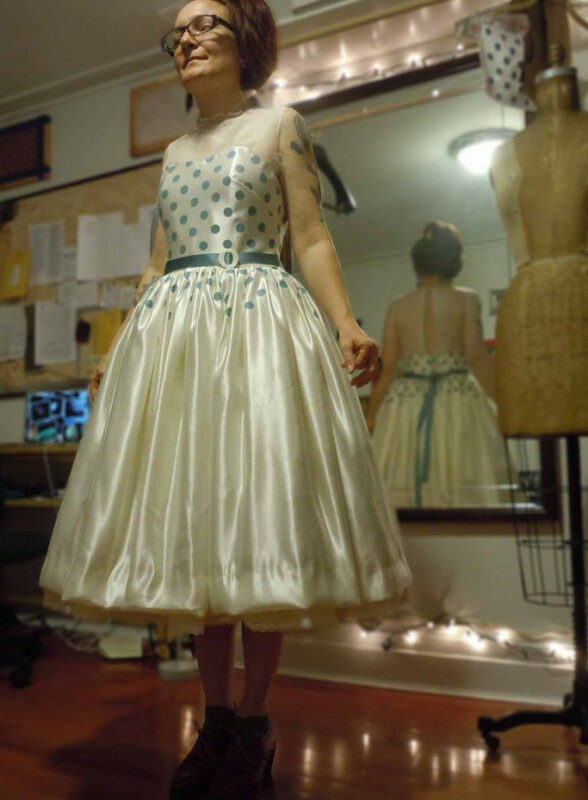 She’s a shoe-maker who designed and built her own heels, and the dress had to match. 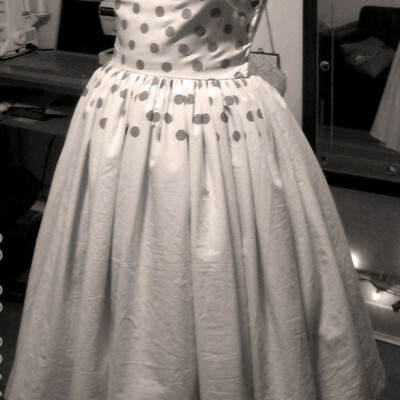 We customized her 50’s style gown with a polka-dot print mixed to match the metallic silver color of her shoe leather. 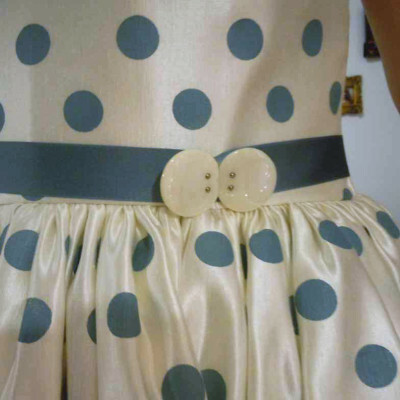 To be sure the dots lined up symmetrically, we cut the bodice pieces and then printed on the dots. A handful of test prints were done to test color, size and pattern before printing. Ultimately we decided the print looked best when the dots were compressed closer side to side than top to bottom. 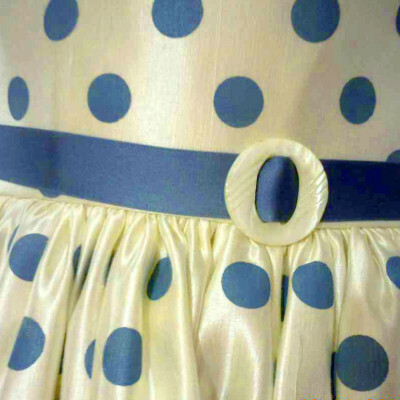 Printing the dots in a triangle pattern on the skirt made them look more delicate around the hipline than a solid line. Silk ribbon finished off the waistband and edged the crinoline underneath. 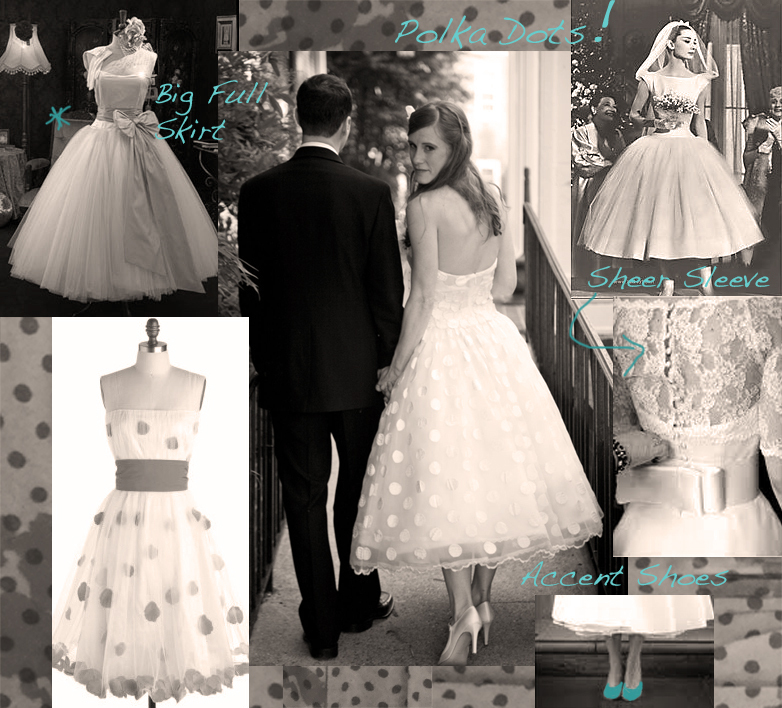 The hardest part for her was choosing from a pile of vintage buckles!